Strelitzia reginae Banks ex Aiton subsp. mzimvubuensis Van Jaarsv. This is a subspecies of the well known Strelitzia reginae which is a garden favourite and a choice cut-flower worldwide. Tufted, evergreen acaulescent shrubs up to 1,5 m tall and 2 m in diameter. The roots are fleshy and up to 20 mm in diameter. The leaves are bright green (but develop a slight greyish blue bloom when grown in full sun), in two opposite rows (distichous), ascending to erect and firm and up to 1.5 m tall. The petioles are up to 12 mm in diameter and up to 800 mm long, green or with a slight greyish blue bloom. 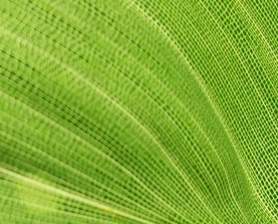 In plants growing in full sun the leaf blades are broadly egg-shaped (ovate) to almost lance-shaped (ovate-lanceolate) and 170–520(–650) x 100–190 mm. The stalk of the inflorescence (about 4 are formed per season) is erect, firm, and grows up to 700 mm tall. It is pale green, bears 3 or 4 tightly sheathing bracts along its lengthand ends in a horizontal to ascending, boat-shaped bract (spathe) 170–180 mm long and drawn out into a sharp point. About three to six flowers arise from this boat-shaped bract (spathe) in succession. The flowers have 3 outer perianth segments (sepals) and three inner ones (petals). The 3 outer perianth segments are white and stand up like the crest on a bird’s head. They are oblong-lanceolate, 85–110 x 20–23 mm, concave, and their lower part is keeled, the third (lower) outer perianth segment emerges from the sheath only on the fourth day, and it is linear-lanceolate, keeled and channelled. The three inner perianth segments (petals) are blue; 2 of them are joined together to form a spear-shaped structure 45–55 x 20 mm, with a central channel or split encasing the anthers and the style, and a characteristically eared (auricled) base. The ears (auricles) are rounded, about 20 mm long, they overlap and curve upwards. The third (upper) perianth segment is oblong, about 20 mm long and ends in a sharp point. The 5 stamens are horizontally presented and imbedded in the channel between the two inner perianth segments. The anthers are linear and twice as long as their stalks (filaments) and contain white, sticky pollen. The ovary has 3 compartments (3-locular) and is imbedded within the spathe. Its style is enclosed with the filaments in the central channel between the two inner perianth segments; the stigma is 10–15 mm long and sticky. Flowering time: February to June. The fruit is an oblong, triangular (triquetrous) woody capsule, 50 x 20 mm, which opens along the compartments (loculicidal dehiscence). The seeds are pea-sized, black and have a woolly orange aril. Strelitzia reginae subsp. mzimvubuensis, apart from its white inner perianth segments (petals), also differs from the typical subspecies by being a smaller plant and by its shorter stigma which is only10–15 mm long. In subsp. reginae, the two lower petals are dark purple-blue and the stigma is at least 30 mm long. The sepals (outer segments) of subsp. mzimvubuensis are also orange coloured, as in the typical subspecies. The leaves of subsp. mzimvubuensis also differ in surface texture which is minutely corrugated. The genus Strelitzia consists of five species endemic to southern Africa and is largely confined to the south-eastern, eastern and northern parts of South Africa. The all have fleshy adventitious roots, and a tufted growth, and their flowers are borne on a condensed inflorescence known as a concinnus (condensed cyme). The flowers emerge from a characteristic, boat-shaped horizontal bract at the top of the inflorescence where they open in succession. Two easily recognized groups can be distinguished in the genus. A smaller stemless, tufted group (S. reginae and S. juncea) bearing elongated inflorescences protruding above the leaf canopy. A second group consisting of large shrubs or trees with elongated stems, huge banana-like leaves,and shortly stalked (and larger) inflorescences in the upper leaf axils (S. alba, S. nicolai & S. caudata). These three are very similar and closely related and difficult to distinguish when not in flower. 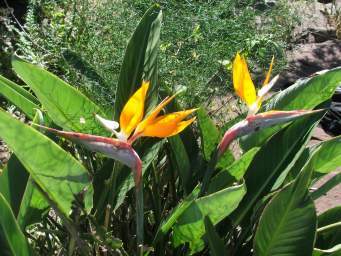 Best known among them is Strelitzia nicolai, a coastal sand dune species prominent along the E. Cape & KZN coast. It has white sepals and blue petals. S. alba is the rarest and confined to Natures Valley in the southern Cape. Both its petals and sepals are white and the plant has a more compact growth than S. nicolai. S. caudata is confined to Mpumalanga, the Soutpansberg and the Chimanimani Mountains in Zimbabwe. All the species have been written up for the Flowering Plants of Africa series (Phillips 1925; Dyer 1945–1946, 1980). Strelitzia reginae subsp. mzimvubuensis is rare and only known from the lower Mzimvubu River in the Eastern Cape. Strelitzia reginae subsp. mzimvubuensis is only known from the lower Mzimvubu River, occurring mainly on the rocky (Dwyka Tillite) shores in full sun or shade of subtropical forest. It is usually found below 500 m. Associated plants in its habitat include Millettia grandis, Buxus macowanii, Strychnos usambarensis, S. henningsii, Eugenia simii, Cryptocarya woodii, Turraea floribunda, Coddia rudis, Cussonia zuluensis and Harpephyllum caffrum. Other forest associates in its habitat include Crassula multicava, C. sarmentosa, Dracaena aletriformis, Drimiopsis maculata, Encephalartos altensteinii, Petopentia natalensis, Gerrardanthus macrorrhizus, Plectranthus ambiguus, P. saccatus var. saccatus and Laportea grossa. Strelitzia reginae subsp. mzimvubuensis was named in 2007 by the author in The Plantsman, a magazine of the Royal Horticultural Society (see references below). During August 2002 the author and three colleagues (Adam Harrower, David Styles and Phakamani Xaba), as part of a survey of cliff-dwelling plants, surveyed the lower Mzimvubu River in the Eastern Cape. The survey was done by rubber canoes and our purpose was to collect and document not only succulent and bulbous cliff-dwelling plants, but other plants showing horticultural promise. 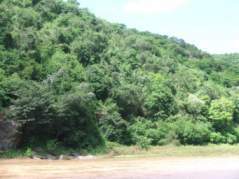 A group of Strelitzia reginae plants was encountered growing in a forest adjacent to the river near Lutengele. We collected young plants which were grown on at the Kirstenbosch National Botanical Garden. One of these came into flower during February 2006. It was then realised that the flower and the plant differs from other Strelitzia species, and was illustrated by the botanical artist, Jeanette Loedolff. To make sure that the plant did not represent a freak form, the habitat was revisited in March 2006 when the type material was collected. This time the author was assisted by Gerrit Visser who sponsored the expedition. The population was thoroughly investigated and all plants seen had flowers with white petals. Plants were again observed growing mainly in the forest but also exposed on the river banks. The Mzimvubu River (Mzimvubu, the Xhosa name of the river meaning ‘home of the hippo) where our plant was collected is the largest river of the Eastern Cape draining a considerable portion of the southern Drakensberg. The climate of the lower Mzimvubu River is subtropical, and its vegetation consists mainly of grassland, subtropical forest and savanna. The annual rainfall is about 1 000–1 250 mm, experienced mainly from spring to autumn, with occasional winter rain. The sturdy erect inflorescence and horizontally projected bract of Strelitzia reginae subsp. mzimvubuensis suggests avian pollination. The colourful flowers are produced in succession (up to 3 per inflorescence), last for about 4 days and are then replaced by another. As with the typical subspecies reginae the flowers produce copious mucilaginous nectar. The bird lands on the horizontally presented white flowering petals as well as the short protruding stigma. Unlike many other bird-pollinated plants where pollen is transferred by the beak or head, in this case, as with all other strelitzias, the pollen is transferred by the bird’s feet. The pollen is sticky and when the bird clasps the petals they fold open from the centre and expose the pollen to its feet. When another plant is visited the pollen is transferred to the stigma and pollination is accomplished. The white-coloured petals are interesting and are thought to aid with visibility in the darker forest surroundings, making the flowers more visible to bird pollinators. The fruit develops into a woody capsule and seeds are pea-like, very hard and impermeable with a characteristic orange coloured aril. It is not certain what the dispersal agents are but it is probably rodents. Seed germination and propagation of subsp. mzimvubuensis is similar to that of S. reginae subsp. reginae featured earlier in the same series. 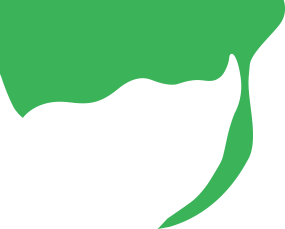 Germination requires a temperature of about 23 to 26°C. The seed is best sown during spring or summer. Plants can also be propagated by division. Strelitzia reginae is a well established garden plant throughout South Africa and other subtropical or warm temperate regions of the world. The subsp. mzimvubuensis is also easily grown but tends to be smaller and adapts well to shady situations. Therefore it can be used as an indoor container plant or in shade of shrubbery. It is grown on at Kirstenbosch National Botanical Gardens from where it will be distributed. As with subsp. reginae, the plants are slow-growing, flowering from seed only after about four years. Subsp. mzimvubuensis tends to flower from February to June whereas subsp. reginae flowers mainly from the end of March to November, however flowers may be seen at any time of the year. I am grateful to my colleagues, all keen dedicated plantsmen, Adam Harrower, David Styles and Phakamani Xaba for accompanying me on the Mzimvubu River expedition in 2002 and for making it a success. Gerrit Visser is thanked for sponsoring and joining the author on the second expedition in March 2006. Coningsby, N. (1996). Madiba strikes Gold. Veld & Flora 82,4: 132. Dyer, R.A. (1945–1946a). Strelitzia alba. The Flowering Plants of Africa 25: t. 995. Dyer, R.A. (1945–1946b). Strelitzia nicolai. The Flowering Plants of Africa 25: t. 996. Dyer, R.A. (1945–1946c). Strelitzia caudata. The Flowering Plants of Africa 25: t. 997. Dyer, R.A. (1980). Strelitzia juncea. The Flowering Plants of Africa 46,1 & 2: t. 1804. Phillips, E.P. (1925). Strelitzia reginae. The Flowering Plants of South Africa 5: t. 186. Van Jaarsveld, E. J. & Loedolff J. 2007. 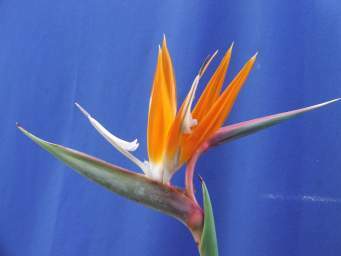 A new subspecies of Strelitzia reginae. The Plantsman. Royal Horticultural Society, New Series Volume 6: 3,180-183 (Sept. Issue). Van Jaarsveld, E.J., Xaba, P., Harrower, A. & Zwide, G. (2003). The Mzimvubu River botanical expedition 27 April–5 May 2002. 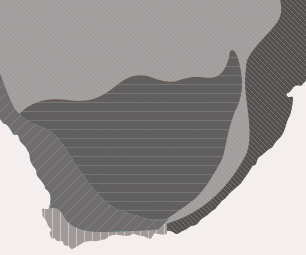 Veld & Flora 89: 101–105. Winter, J. 1994. Going for Gold. Veld & Flora 80,1: 22, 23. Wright, C.H. (1913). Scitamineae. Flora capensis, Vol. 5, 3: 316, 317. Reeve, London.